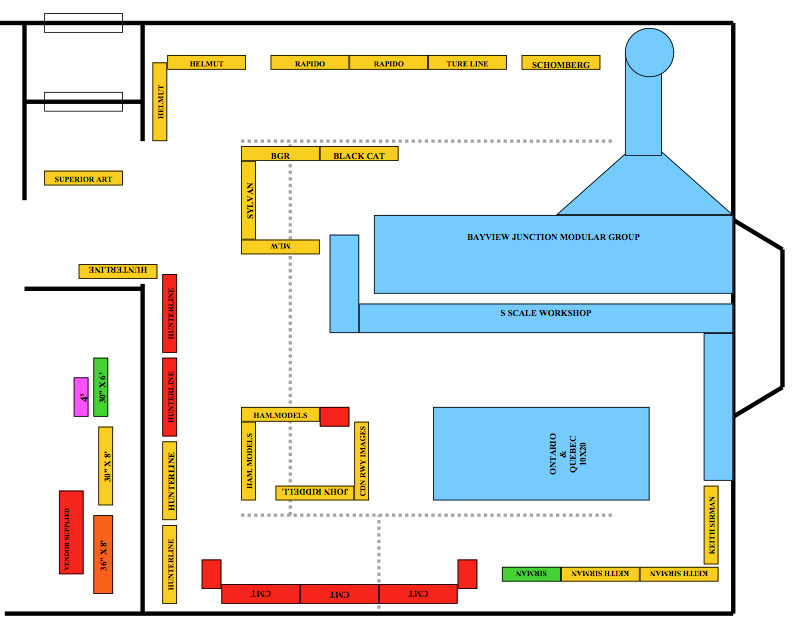 As mentioned earlier on this blog, the S Scale Workshop will be displaying its modular layout at the 2012 Copetown Train Show, held this year on Sunday, February 12th. Workshop member Pete Moffett has been working with the Copetown organizers — and this year's show is going to demonstrate the flexibility of the group's modular system, inspired by what's being done by Free-mo enthusiasts in HO scale. 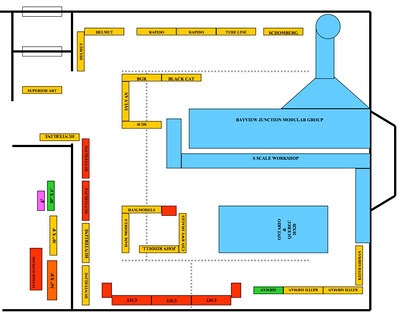 As the final room arrangement shows, the organizers have given the Workshop an S-shaped space (appropriately enough), tucked around the massive HO scale Bayview Junction modular group. A train-length turntable will serve each end of the line. We're looking forward to seeing many friends at the show! Your comment will be visible after approval from the moderators. Thanks for your patience.